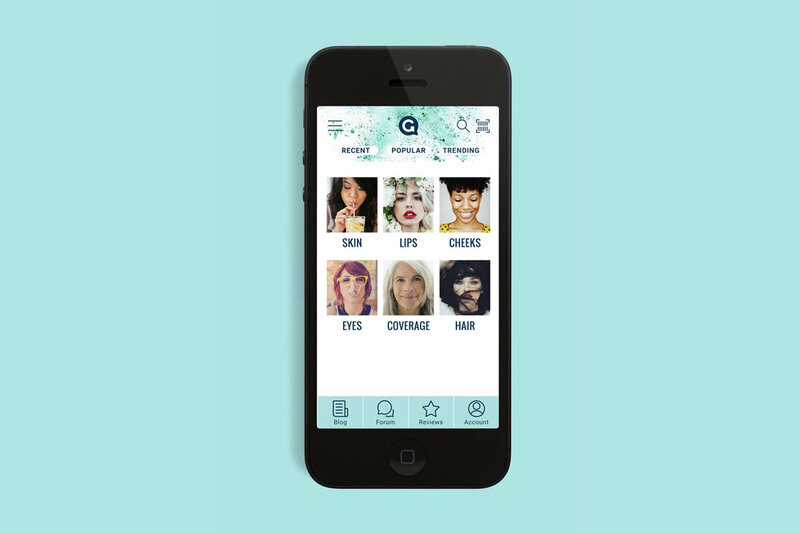 The Glossery is a social community of makeup users for thousands of readily available beauty products. With a lack of advertisements and emphasis on unbiased reviews, The Glossery serves as a pocket beauty expert that helps you make an informed decision without promising to make you look like a celebrity. My main responsibility was branding and overall style, but I did have some input on the development of the inaugural launch of the site as well as developing the mobile app. The Glossery is the opposite of a Cover Girl. Funky, but classy. Messy, but minimal. Slouchy, but sophisticated. The Glossery includes all guests with no preference to gender, race or age. Aiming at a simple, but clean word mark, varying degrees of letter-forms were considered. We reviewed options from bold and funky sans-serifs, to elegant and classic serif faces. The following directions were reached after an exploration phase. A secondary mark of the letter "G" in a speech bubble conceptualized the platform of The Glossery as that of a review forum of thousands of products. In this phase, the initial typeface was tweaked, reducing thick and thins of the letterforms as well as rebuilding the letter "S". The challenge of this route was whether the mark was read as "G Lossery" or "Glossery." One advantage of this route was that it gave more personality to the brand and more direct association tied to the makeup industry with the use of illustrated lips. However, this route was a bit too eclectic for the current market of makeup brands. The final logo type is simple and centered, yet still stands out amongst the competition. The accompanying secondary mark is easily adaptable to alternative closeup photos of makeup textures. From here we determined which app screens were important for each user. 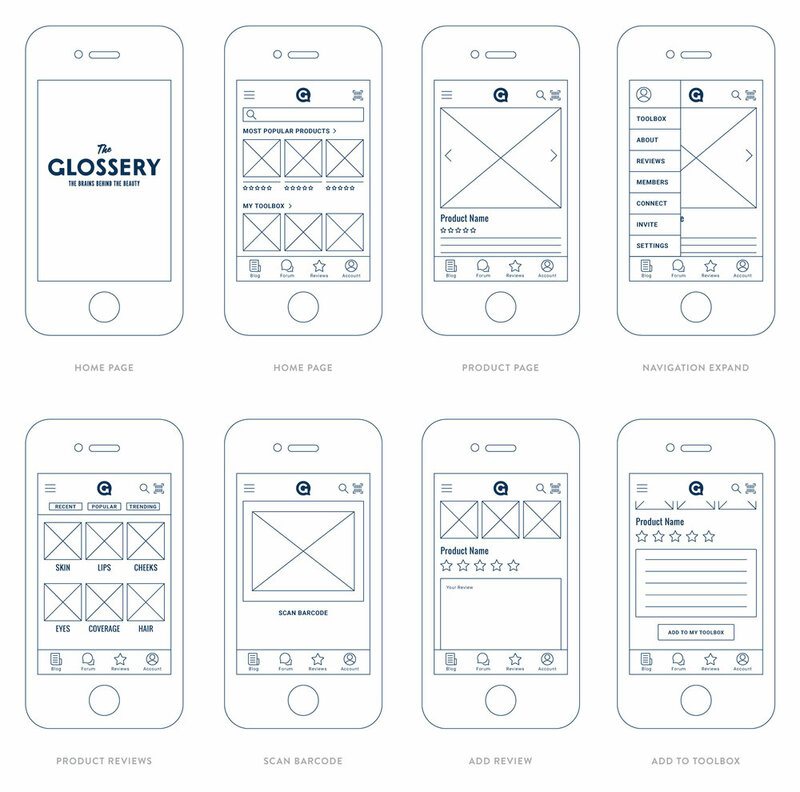 By keeping the needs of the users simple, we identified which screens were necessary for the app's success. This gave us a jumping off point to start by creating just the necessary screens. We dove straight in when designing the mobile app layout after narrowing down the important features. We took some queues from competitive apps and other apps that incorporate actions like scanning a barcode. The style of the mobile app and website is "neutral, with splashes of color", "minimal", and "modern." We kept the branding colors to a minimum with the dark navy logo and the secondary splashes of teal. This left the color of the individual beauty products to stand out in front of a more neutral stage. 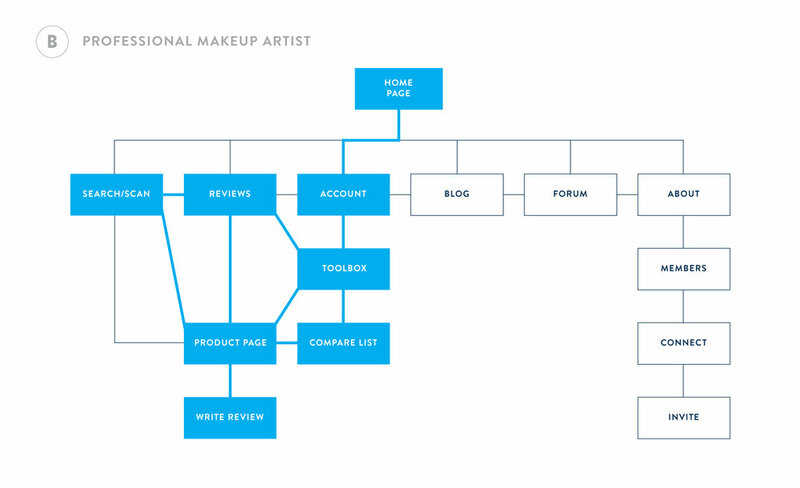 For the desktop site design, we initially studied a few competitors' sites. Highlighting repeating themes and organizational patterns, discover the common emphasis on user reviews. We also noted the importance of linking products directly to their reviews. 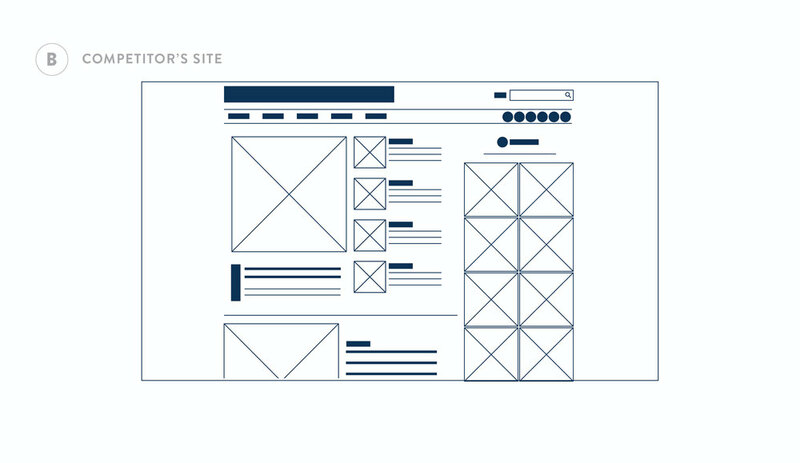 The website layout was pre-determined by the product owner and web developers. I was able to contribute brand styling such as uniformity in fonts and colors. Most of the challenge was to simplify and declutter what had initially been created.